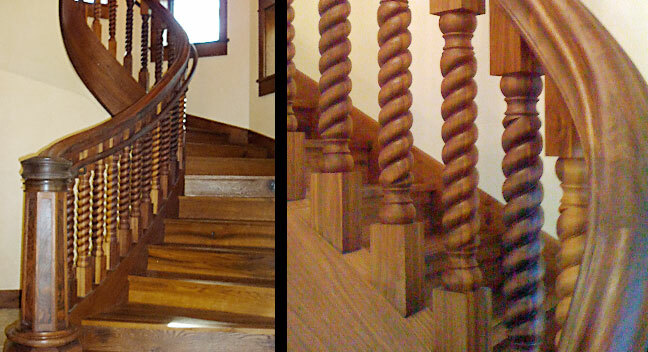 Finished with tung oil, the English-style walnut newels and balusters are objects of hand-crafted beauty. 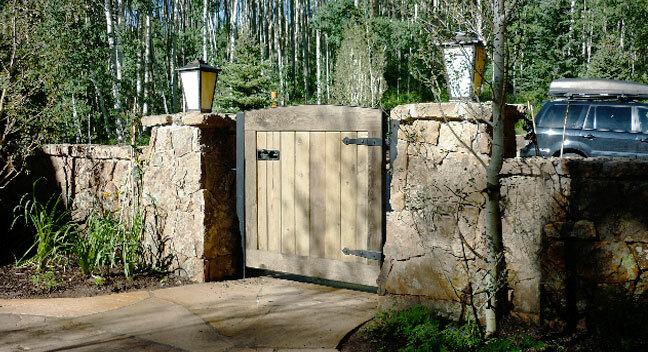 This Valley Vail home, owned by Brits, pays homage to simple traditional European details. 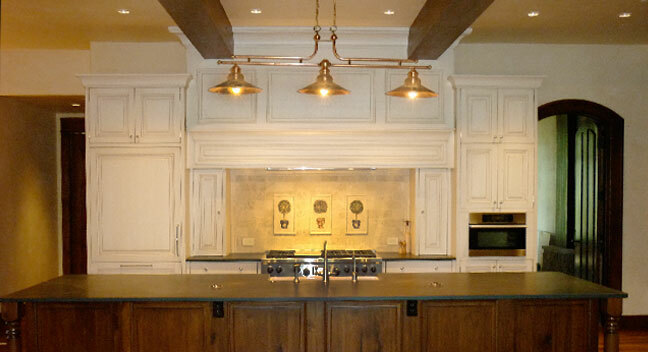 The kitchen offers a custom painted wood hood around a limestone surround with hand-painted tiles. 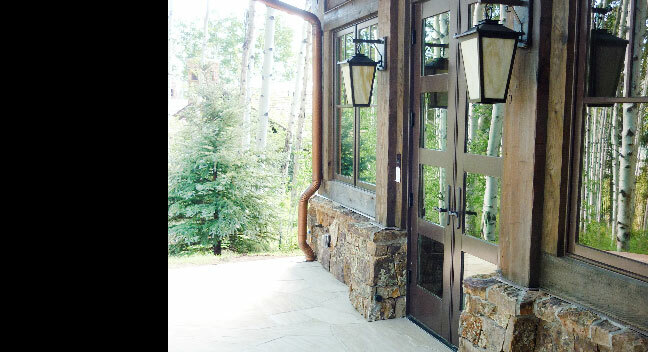 A beautiful U-shaped courtyard and custom lanterns are reminiscent of the old English countryside. 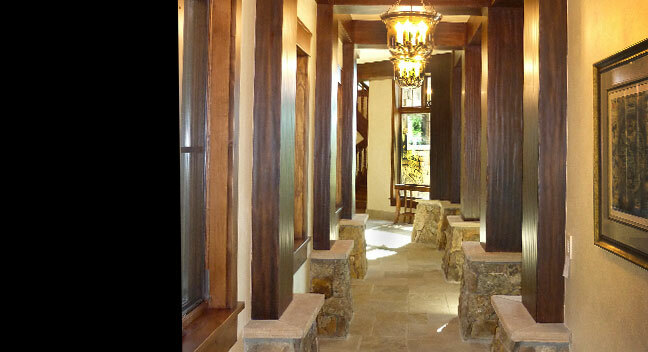 Hand-hewn timbers on moss rock bases frame out the main colonnade. The mudroom is lined in alder, a very durable wood, excellent for utilitarian spaces.